Hyperlipidemia, better known as high cholesterol, is a major health problem for many Americans today. This condition can lead to serious health problems if it's not addressed properly and quickly. 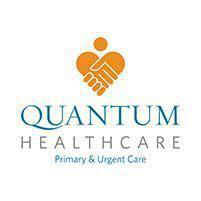 Dr. Yasser Salem at Quantum Healthcare in Crivitz, Wisconsin, are ready to help you make the changes needed to bring high cholesterol under control. Hyperlipidemia means that you have a high concentration of lipids or lipoproteins within your blood. Essentially, it means that you have high cholesterol. LDL (the bad cholesterol) readings should ideally be 100-129 mg/dL. A reading of 130-159 mg/dL is borderline high cholesterol and a reading of 160-189 mg/dL is high cholesterol. Any reading higher than that indicates an extremely high (and dangerous) cholesterol level.